With it’s novelties for kitchen and bath the new winter collection by Leitner Leinen brings cosiness to the cold season. Modern piqué meets historic vine pattern, forming the foundation for a masterpiece of craftsmanship: With this stylishly woven combination of alternating check pattern and celtic middle age vines the new cloth design "Helix" ﬁts into virtually every room style, from minimalistic to playful. The elegant herringbone pattern is an absolute classic in textile design, its roots reaching back to the middle ages. 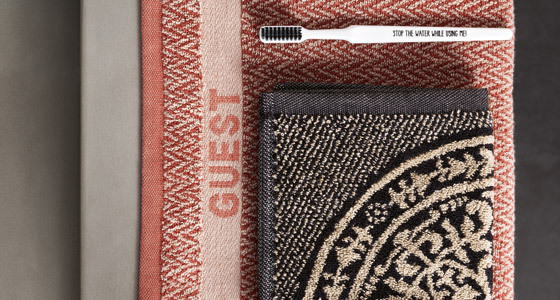 Today, as "Inverness" from LEITNER Leinen, it belongs to the elegant style of one’s own bathroom, a spa experience at home – and with the word "Guest" woven in, it also helps create a feel-good atmosphere for guests at home or in a hotel. 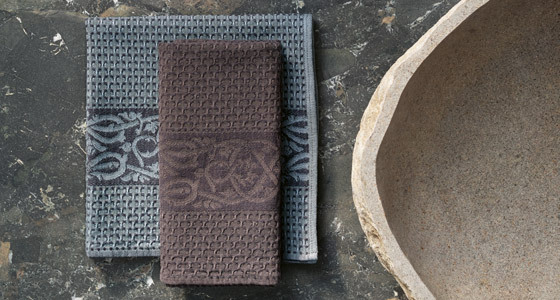 ... our new kitchen towels will get you in mood for any wintery feast. Lobster, crab, crayfish – Crustaceans evoke holiday feelings, the sound of the sea, sunsets on romantic terraces from the North sea to the Adriatic. 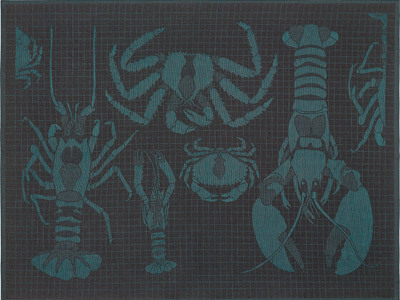 Dedicated to the god of the sea, the kitchen towel design "Poseidon" is essential for a sophisticated kitchen, where everything from cocktail shrimps to lobster Thermidor is on the menu. 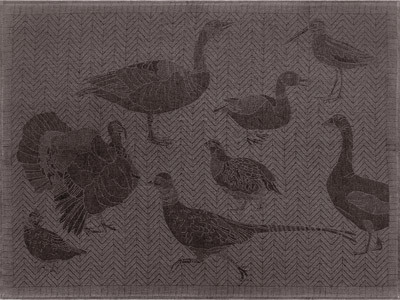 From partridge to turkey, from domestic to migratory birds: The kitchen towel design "Hestia", named after the goddess of the family and the home, is a homage to feathered wildlife and winged housemates, who have been by our sides for decades. Especially appealing in the colour "Kupfer" combined with classic French copper pots - for a unique kitchen interior. 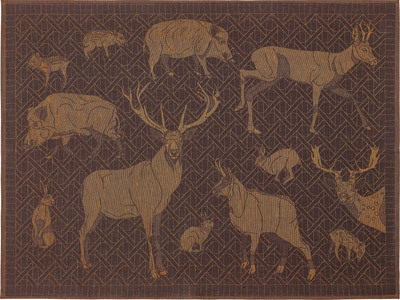 The kitchen towel design "Artemis" tells a story about the diversity that the goddess of hunting represents: red deer, wild boar, small game, from hare to stag they are leaving their traditional territories - meadows, woods and mountains - for a meet-up in a unique pattern that should not be missing in a refined kitchen.